Jeison Espinosa, with Crusader Pest Control, did a super job today spraying my house, and yard. He arrived at the appointment on time, was extremely courteous, and did a thorough job. He was mindful about where to spray as I have indoor cats, and after he was finished, summarized what he did based upon our discussion. I am very happy with the results and look forward to when he can return to provide the next quarterly treatment. Scott is Very nice and friendly. I like having the same guy every time. Great service. No bugs make me a happy girl. We were having a terrible cricket problem and with one service it is nice and quiet here again. The tech was great and they showed up quickly. y'all always do a great job and your folks are very professional. Through pest service with a great attitude! Excellent service and professional tech's. I’ve tried several. Pest Force is the best by far!!! straight to the point and answered all my questions. Great service! Easy to schedule, always on time, friendly employees & I don’t have any problems with bugs in my home. we were not home when the service was provided, we we be charged an additional service call to treat the interior of our home? Please add my mailbox to my list to be sprayed next. It is full of ants.. Very knowledgeable, friendly, and professional technician took care of my house. Would definitely use them again and recommend ATS. Pest force is the jam. In and out, reliable and safe service, highly recommend to friends and family. Pest Force is a great company. Everyone is so professional and friendly. Chandra's team is always on time and very polite and professional. 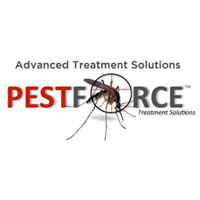 If pests are your problem PestForce is the ONLY answer! Awesome company. Call and be scheduled right away. Technician is expert in craft and very respectful with all going on after Harvey. Mice/Rats discovered after neighbor removed a old fence. The most personable pest company I've ever encountered. They are real people not a concept company. Ordinarily we are very happy with the service. Today however, the technician was here for 17 minutes which is not enough time to have done anything. We have fireants throughout the yard and I find it hard to believe that 17 minutes is enough time to inspect our yard, prepare a dispenser and actually treat the ants...much less whatever else might need doing. Positive interaction; technician was friendly and competent. Some of the treated areas are still very active. Eric is very nice and respectful. The are very easy to work with, prompt with appointments and always provide services between regular treatments. I would recommend their services. No matter what technician comes to take care of our service, they are all friendly & take care of what needs to be done. Great customer service. Quick and dependable. Thanks! The dishwasher was not put back properly and all the mice droppings were not cleaned out from underneath the dishwasher. Not satisfied with the 2nd technician at all.